As the UFC prepares to cash in on a record-setting night when UFC 129 blows the roof off the Rogers Centre in Toronto, Canada, it appears Sengoku Raiden Championship has been operating in the red for quite some time. Based off the latest post on their website, it seems the promotion that runs World Victory Road may not be operating at all for much longer. To date, the Japanese organization has hosted 20 shows. All of their events took place in the Land of the Rising Sun, less their March 2009 card in South Korea. They made their debut on March 5th 2008. Featherweight Hatsu Hioki and welterweight Keita Nakamura are Sengoku’s only current champions. 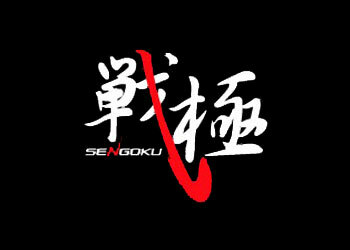 Upset specialist Antonio “Bigfoot” Silva, Josh Barnett, Muhammed “King Mo” Lawal, Kevin Randleman and Satoshi Ishii are among the many stars that have performed under Sengoku’s banner. If “World Victory Road Presents: Soul of Fight” this past December was indeed the promotion’s swan song, Dream will be the Orient’s last major mixed martial arts promotion. Emergency previous report (released February 1, 2011) As we know the history behind it, but we now are critical crossroads, we face a tough decision. Then, Don Quixote, who is also the parent company of our sponsor (the company below) from, SRC has been made official representations to the effect that withdrawing from the business. It has also led to this, we express the truth intentionally, and if the company [million years despite large deficits, but only in a dream has continued to support and love of martial arts, but the thought Naka Naka Not only convey, ranging to be dragged into such a situation and some mindless media article on the contrary, is disgusted Hotohoto] you really like. The company most, rather than a full withdrawal from the actual martial arts community, Pancrase and Shooto activities sponsored organizations that support current and amateur wrestling or are planning to continue, even and other groups, “If tapped Future (help) and not willing to consider, “I said. But we organized, SRC from big businesses such as Sengoku decision to pull out of the company is refusing to be changed. Indeed shameful that the inside will pour out, as we have been doing business entirely dependent on sponsors and parent support is not without its own box office on its own can be terminated if it is no longer present and if Ikan stuck with a difficult situation I have to say. The only hope is the emergence of a sponsor to replace Don Quixote. The company also “has a love for martial arts, if there is funding us to target certain (for inheritance) willing to cooperate fully” with the intention to accepting. Even if we do something in that direction, we hope to find out the possibility of 一縷. But if it is fulfilled, you must be prepared for the worst that can be dissolved. Even with the lack of any company, SRC fans, players, of course, put a great deal of inconvenience and worry like all the related parties, lay down here and I apologize.